As a county, Kent has more than its fair share of picturesque villages, beautiful beaches and bustling towns and cities. Being only a couple of hours from London, even from it’s furthest reaches, the county is popular with those looking to enjoy life away from the big smoke. With seaside towns like Margate, Whitstable and Ramsgate seeing a dramatic increase in city dwellers buying second homes on the Thanet coast, demand for property has never been higher. From post-modern tower blocks to prestigious new build apartments, flats in Thanet are going for a song. One of the most attractive propositions for high rise living is a fully functioning and reliable lift service. 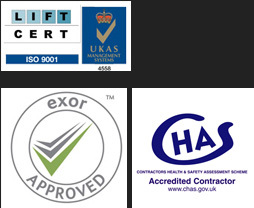 As a highly respected lift company for Kent, Tower Lifts is regularly asked to attend developments in Kent to assist with lift maintenance and repair, as well as supplying new installations and custom made vertical transport solutions. It’s not just residential properties that require easy access to all floors. Office blocks and retail units also need to be able to ensure that visitors can access all areas without having to use the stairs. As a popular lift company for Kent, we are able to offer a range of services that can solve the challenging dilemma of vertical access for all. We can supply and fit bespoke lift solutions in Kent, including platform lifts for users with limited mobility, and a wide range of machine-roomless and hydraulic passenger lifts for buildings of all types and sizes. We are also delighted to be able to offer practical and seamless solutions for the transportation of items via our extensive range of goods lifts. These include dumbwaiter lifts, heavy duty/car lifts and general goods lifts. From restaurants to storage facilities and everything in between, our Kent lift installations offer practical, cost effective lift solutions to a variety of residential, commercial and retail premises in Kent. 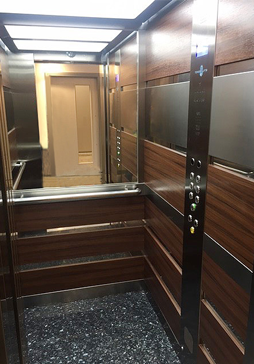 Following a noticeable increase in demand for passenger lifts in Kent, Tower Lifts were delighted to be asked to install two passenger lifts in this new residential development. Consisting of 51, one and two bedroom high spec apartments split over seven floors, Sidcup House is a premium development located in the heart of historic Sidcup. With a communal roof terrace, spectacular views and high end features and fittings throughout, the development certainly calls for cutting edge lift technology to transport residents between floors. Our lift engineers in Kent were instructed to provide a standard 10 person carriage, as well as a firefighting lift. Whilst both lifts will provide the standard features, ensuring access for wheelchair users and those experiencing mobility issues, the EN81:72 firefighting lift also incorporates trap-doors and ladders for rescue operations, and the electrics within the lift will be protected from splashing water, offering safe exit in the case of fire. If you would like to find out about our comprehensive lift installation, maintenance and repairs services in Kent, speak to us today on 01525 601099.